New year, new sport! Christmas is over, the kids are ready for the new term of learning, developing and sport. 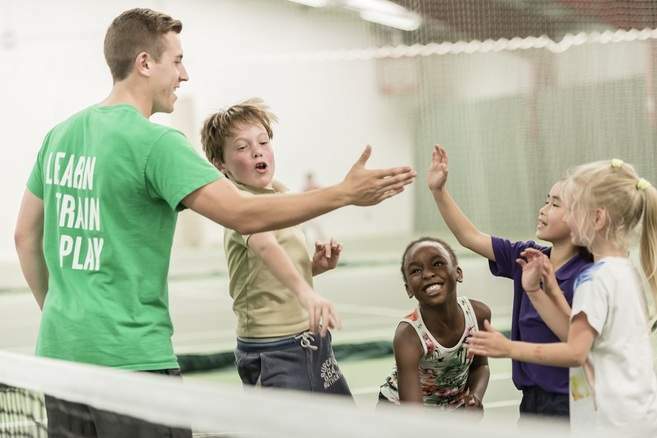 And what better way to help develop your child’s co-ordination, mind and fitness than to get them into tennis and try a new sport to kick off 2019! Tennis is one of the most complete sports. It teaches kids hand eye co-ordination, stimulates their mind through tactical play and technique, improves their fitness and promotes teamwork and inner confidence. Here at Islington Tennis Centre & Gym, we provide world-class affordable tennis lessons and courses for children of all levels and ages. Focussing on entertainment, fun and learning, our tennis courses will keep your child active and engaged. Whether your child is just starting reception or is beginning their journey into secondary school, we have a course for you. So why not check out all our junior lessons and courses and book your child on to our one of them today and introduce your child to a new sport this January. It could be the start of a wonderful future for your child and tennis!